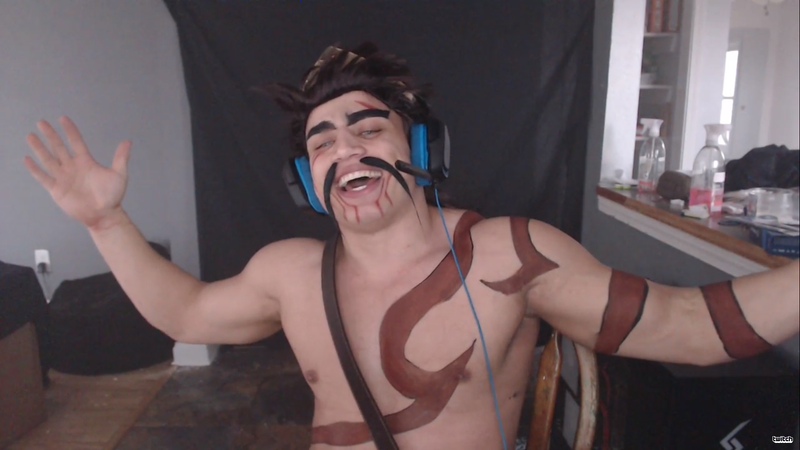 After his indefinite ban from League of Legends was lifted last week, Tyler1 made his return to streaming the MOBA game on his Twitch channel today, decked out in full Draven cosplay. The virtual seats filled pretty quick. In his first game back, the opposing team recognized Tyler and banned his signature Draven. As he locked in a different champion, the spectators poured in and the chat started filling with Twitch Prime subscriptions. The highest I saw it peak was over 380,000 viewers, a massive achievement for a single Twitch streamer. At a few points, he would type messages like “smd” into the chat and then delete them, looking at the camera. At another, he asked “ff?”, or forfeit, while his team rolled over the other’s base. “It’s just banter,” said Tyler. All the while, he was topping the streaming channels across all of Twitch, even over events like the annual speedrunning charity Awesome Games Done Quick. If you want to tune in for the return of Tyler, you can check out his Twitch channel here.